There is plenty of makeup on the market that can create the illusion of glowing skin, but nothing can compare to having a true radiance. Brighter skin helps your face look healthy and beautiful because it’s achieved by nurturing it. 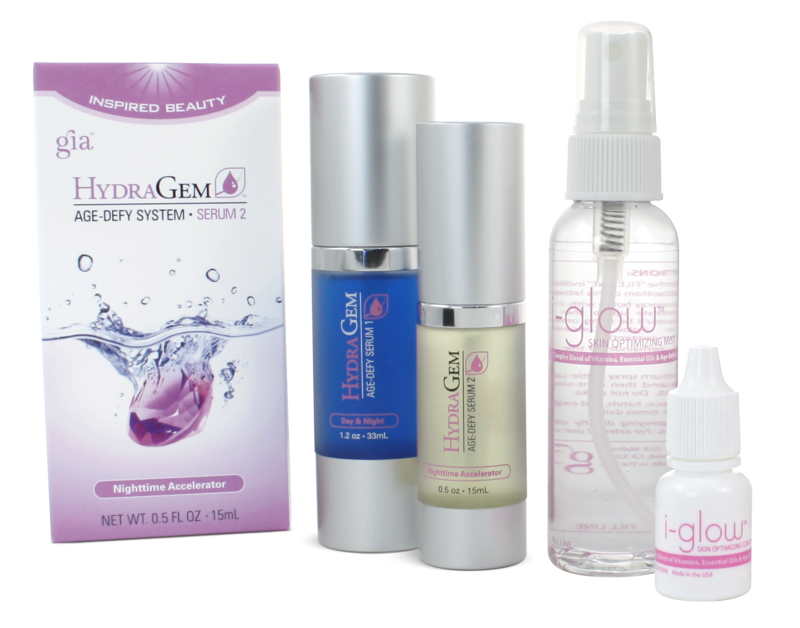 Try using gemstone-based products without added parabens or harsh chemicals. Treating your skin with products that hydrate skin, instead of drying it out will also help create the beautiful, natural glow you want. Serums are in the spotlight right now because they are now more effective than ever. These lightweight moisturizers have the capability to penetrate deep into your skin delivering key ingredients to help fight age and the visible signs of stress. Many can be applied before bed, working while you sleep so you wake up looking as rested as you feel! The modern world is riddled with pollutants. Experts have always warned against the dangers pollution presents in our environment and our health, and now we are learning about how it can also cause visible premature aging. The anti-pollution skin care trend employs pollution defense for your skin, helping you protect your skin from harmful threats within your everyday environment. Skin care enthusiasts sing the praises of treating your face and body with the same love, whether it’s by using a product that works like food for your face or taking supplements designed to help your skin look and feel great. The added bonus is many of these supplements have health benefits giving your body and your face essential nutrients needed to thrive at their best. Personalized skin care and beauty products are an amazing way to ensure you are getting the products that you want for the results you need. Bespoke in the health, wellness, and beauty industry can range from as small as a live chat on a company’s website to having your own personal consultant to help you find the best products for you from your favorite brand. Since makeup is temporary, and your skin is forever, it’s time to start investing in enhancing your natural beauty by nurturing your skin. Integrating these skin care trends into your routine will help keep your skin refreshed, rejuvenated, and looking as good as you feel!